Aromatherapy has many benefits and advantages. And one of them is through meditation. Generally people associate meditation as a means to control emotional upheavals and instability. While this is true, there are some other implications of this condition like indigestion, acnes, boils, pimples, weight loss and other somatic symptoms. Not many people realize that these symptoms can occur due to a lot of stress in your life. Thus aromatherapy meditation can help cure these problems too in some occasions. Aromatherapy can be administered in many ways. You could directly consume some essential oils that are edible and diluted with the right carrier oils. Other oils can be applied to the skin, or scalp to aid in relieving the stress. However, most essential oils are highly concentrated for direct contact. They need to be taken indirectly through baths, diffusers, candles and other forms. In these forms the essential oil aroma spreads through the room giving you the desired effect. One of the best ways to counter stress is to meditate. Meditation allows mind to forget things and focus on blankness. As a result, mind actually gets some rest from its regular work. This rest for a short period too can help bring down the stress levels greatly and allow the person to think clearly. Unfortunately, with all the stress and thoughts in our mind, meditation is tough. 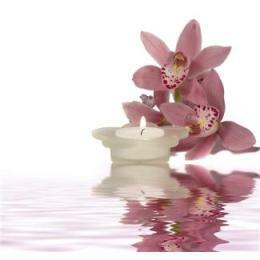 Through aromatherapy though, you can calm your mind and senses which can aid in focusing on meditation. Some of the useful oils in meditation include black pepper, cedarwood, clary sage, jasmine, rosewood, sandalwood and vetiver. There are some other oils too that are equally effective in aromatherapy meditation. One of the best ways to enjoy aromatherapy meditation is to use diffuser blends. There are many options available, but here is one that you can try out. You need to add all these drops into a dark glass bottle and close it air tight. Leave the blend in there for some days to allow them to combine into a nice blend for aromatherapy meditation. After this all you need to do is add this blend to your regular diffuser and experience the magic. Besides the blends, there are some other oils that can work well individually too. Cedarwood oil is great to calm the mind and senses. The Frankincense oil is perfect to regulate your breathing. A well regulated breathing helps focus better. Champaca oil can help balance energy points in our body. You can use these oils individually or use them as a blend with jojoba or oil oil. A blend for meditation has been crafted as well for those who are involved in the process. Since ages the Frankincense and Myrrh have been used to mediate. These essential oils if blends with some other oils can help in attaining a state of stable mental and emotional state to induce calm and peace. The meditation blend may be composed of the following oils: Ylang-ylang, Frankincense, Myrrh, Snadalwood and Cistus. This blend may be diffused in the area where you do the meditation. Also a couple of drops may be used in baths. Another meditation blends that works is spirit aroma oil, This essential oil blend is specifically formulated for rituals. It is a good base agent in meditation in many spiritual practices like Essential Oils for Yogayoga. The recipe was derived from an old recipe that promises "Visions of Fairies". It is characterized by a cool, clarity-inducing and energizing feeling coupled with an earthy feel as well.